This week, media, industry leaders, and members of President Obama’s cabinet gathered in Harlem at the historic Apollo Theater to celebrate a milestone: the second anniversary of the My Brother’s Keeper initiative, launched and made an official presidential memorandum by the POTUS in 2014. The initiative is a federal effort to combat opportunity gaps boys and young men of color face and help them with the tools and resources they need to advance. 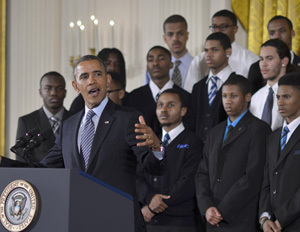 Since its inception, the White House reports that more thanÂ 250 communities in all 50 states accepted the My Brother’s Keeper Community Challenge; more than $600 million in private sector and philanthropic grants and in-kind resources; and $1 billion in low-interest financing have been committed in alignment with MBK. The event celebrating these accomplishments was hosted by Mike Muse, an entrepreneur and political commentator, in partnership with the Small Business Administration, and itÂ featured one-on-one Q&As with Obama cabinet member and SBA Administrator Maria Contreras-Sweet and Broderick Johnson, assistant to the president, cabinet secretary, and chair of the My Brother’s Keeper Task Force. 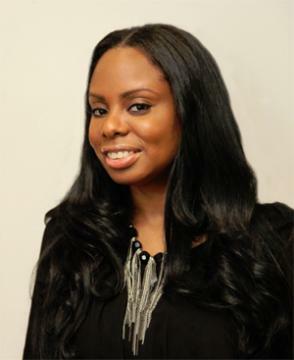 With a focus on millennial entrepreneurship, theÂ night also included a viewing of the clips from a special six-part series featuring leading men of color in various industries, from entertainment to fitness, including BeyoncÃ© stylist and fashion expert Ty Hunter, and celebrity trainer “Hollywood Hinoâ€ Ehikhamenor, who also served as panel speakers and shared their stories of success. Contreras-Sweet stressed the importance of not only empowering young men in areas of lifestyle and vocation, but promoting opportunities to become their own bosses who create opportunities for others. Johnson offered insights on how small business owners can help advocate for the advancement of My Brother’s Keeper and what the initiative stands for.